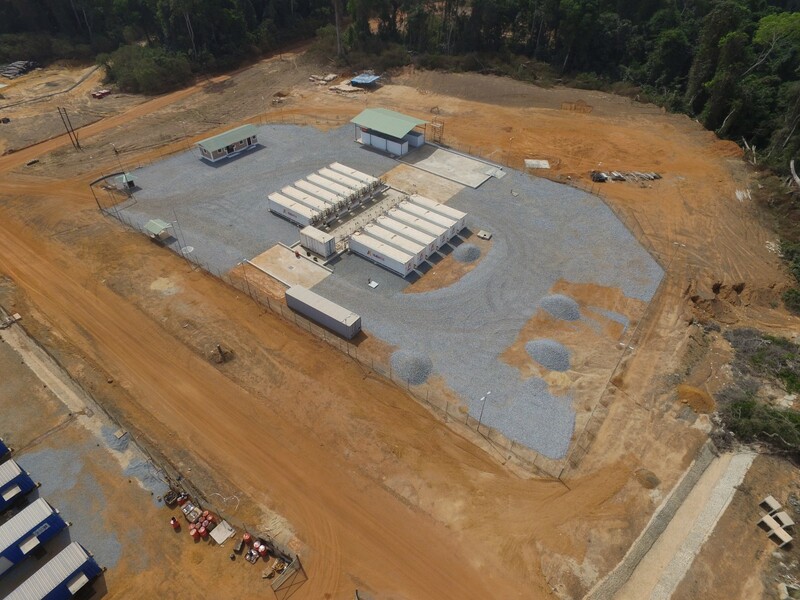 Avesoro Ndablama Gold Project Ndablama Gold Project – Avesoro Resources Inc.
Ndablama is located in the Northern block of the 457 km2 Bea Mountain Mining License, approximately 40 km NE of Avesoro’ flagship New Liberty Gold Mine. The Ndablama project is accessible from Monrovia by vehicle, with approximately 90 km of paved road to the town of Tubmanburg and then a laterite road to remaining 40 km to the project site. Ndablama is situated within a 13 km zone of continuous gold in soil anomalies that are related to the geological contact between a granite batholith and a metavolcanic rock package, and a regional shear structure. This anomalous zone has been trenched and drill tested at six sites and in all cases bedrock gold mineralisation has been identified. Ndablama lies on the western edge of a shallow westerly-dipping pressure shadow zone around a granite batholith. Gold mineralization is related to shear deformation, which strikes north-south and hosts the gold mineralization, extends over 5 km from Leopard Rock South to Ndablama Far North. Ndablama has been the target of long-established artisanal alluvial mining activity. Drilling at Ndablama has been conducted in four campaigns, and a total of 115 diamond drillholes for 21,333 m, 39 reverse circulation holes for 5,827 m, and 63 trenches for 3,967 m have been completed. Eight hundred metres south east of Ndablama, the Leopard Rock target has been drilled at a reconnaissance level and demonstrated shallow westerly dipping gold mineralisation which is very similar to Ndablama and can be followed for a further 800 m to the south. The general geology of Ndablama consists of mafics, in the form of amphibolite schists, gneisses, and ultramafic rocks, represented by magnetite-rich and magnetite-poor tremolite-schists. These lithologies are intercalated within a gneiss sequence that has been intruded by granitic dykes. The ultramafic and mafic units are wrapped around the western edge of the granite batholith. Gold mineralization is shear related and hosted within the ultramafic and mafic units. The mineralization has a shallow westerly dip of 30° or less. Drilling has extended the mineralization over 1000 m of strike in a north-south direction, 240 m below the surface and is open in all directions. Prominent alteration associated with mineralization includes phlogopite, tremolite, chlorite and talc, with phlogopite dominating. Intense alteration and gold mineralisation occurs where magnetite is destroyed. · Geological mapping, soil geochemistry, trenching, geophysics and previous reconnaissance drilling have outlined a five kilometre mineralised structural zone which dips shallowly to the west and locates at the sheared and altered contact between metavolcanics and a batholith. This zone is referred to as the Pressure Shadow Zone. It is associated with extensive bedrock and alluvial artisanal gold mining. · Exploration at Ndablama has outlined two main zones of mineralization namely the ‘central’ and the ‘south western’ zones. · An airborne LiDAR survey was also carried out during 2012 to provide a reliable topographical reference. · An updated resource was published on December 1st 2014. The estimation was carried out by independent consultant AMC. 1. 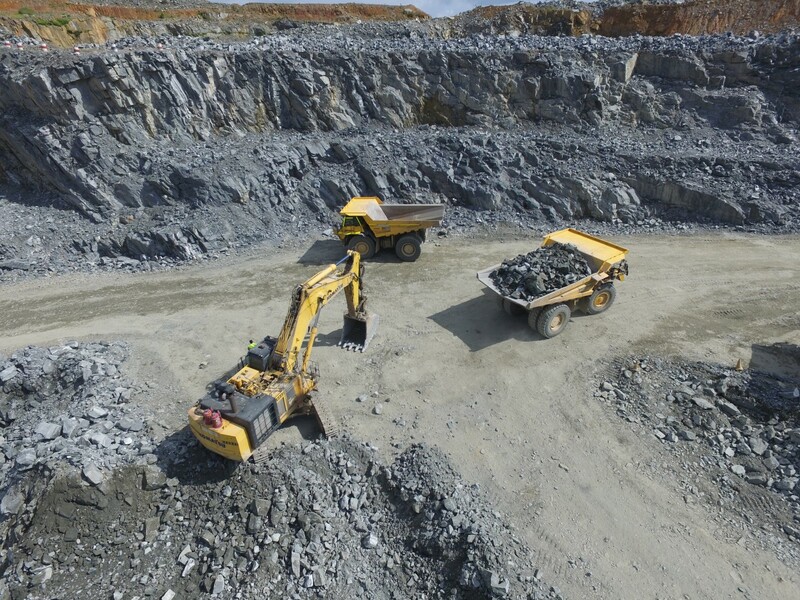 Mineral Resources for the Ndablama deposit are reported at a cut-off grade of 0.5 g/t Au. 2. 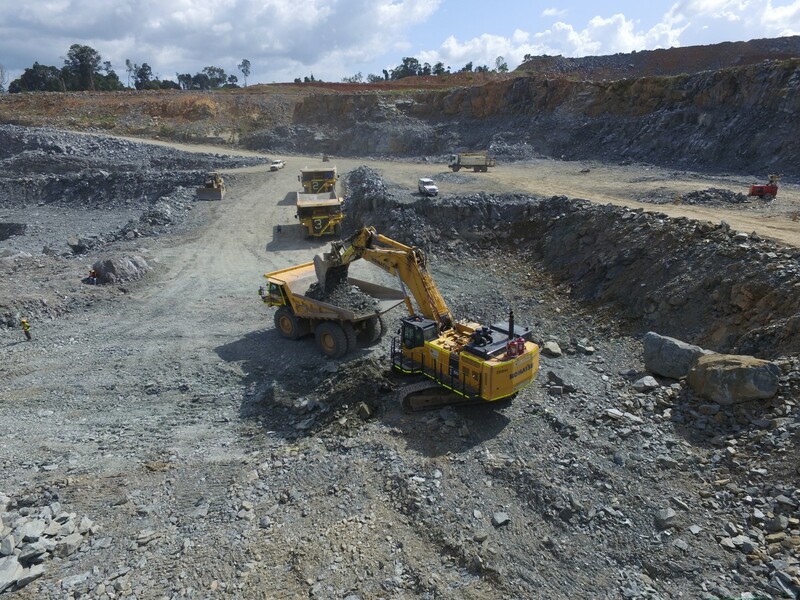 Resources are reported to a conceptual open pit based on US$1,700 per ounce gold. 3. The effective date of the deposit mineral resource estimates is 1 December 2014. 4. Mineral Resources in this resource statement are not Mineral Reserves do not have demonstrated economic viability. The estimate of Mineral Resources may be materially affected by environmental, permitting, legal, title, taxation, socio-political, marketing, or other relevant issues. 5. Totals and average grades are subject to rounding to the appropriate precision. · In line with the NI43-101 resource practices, metallurgical and gravimetric tests were carried out on representative core samples from the project and results were published. Both tests were carried out by ALS Australia. · Further detailed testwork is currently being conducted by ALS on additional representative samples of the Ndablama orebody, including comminution testwork, gravity testwork and cyanide optimisation testwork. · The Company’s exploration team is now focused on further geological mapping and trenching along the whole five kilometre Pressure Shadow Zone from Ndablama Far North to the southern portion of Leopard Rock. At Ndablama North and Far North gold mineralisation has been traced by trenching over a further 1.4 km in a northerly direction. All the Pressure Shadow Zone targets will be subjects of multi-phased drilling programmes.